This is the fifth installment in a series of photos and videos remembering Princess Diana as we approach the 20th anniversary of her shocking death on Aug. 31, 1997. 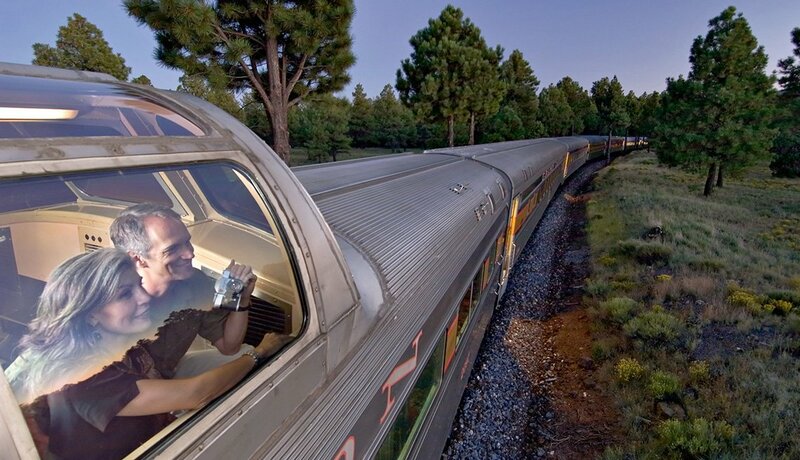 Please share your thoughts and memories of Diana in our Icons community forum. In nearly every photo with her beloved sons, William and Harry, we see her cuddling them, touching them and being active with them. “She smothered us with love, that’s for sure,” Prince Harry says in the documentary. Had she lived, she would still be doting on them and on her grandchildren, Charlotte and George. Diana wanted her boys, born two years apart, to have a real life (along with the royal one), so they ate at McDonald's, rode the London Underground and went on vacations to Niagara Falls, N.Y., and Disney World in Orlando. 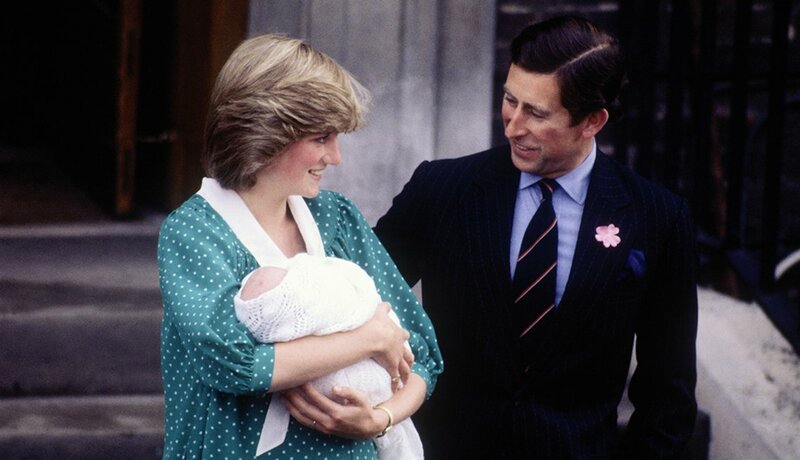 Newborn Prince William, second in line to the throne, in the arms of his mother, Diana, Princess of Wales. His father, Prince Charles, the heir to the throne, accompanies his wife and son as they leave St. Mary's Hospital in London on June 22, 1982, one day after his birth. 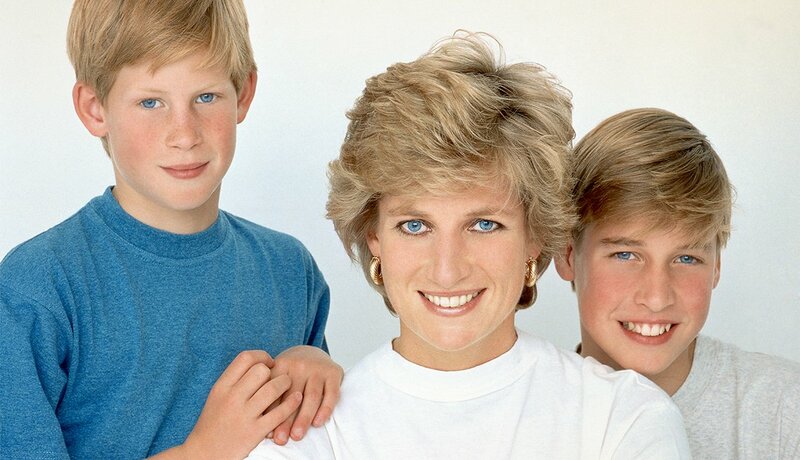 The Princess of Wales is a hands-on mother from the start and active with her boys, Prince William, center, and Prince Harry, whether they are at home in Kensington Palace or outside the palace walls. 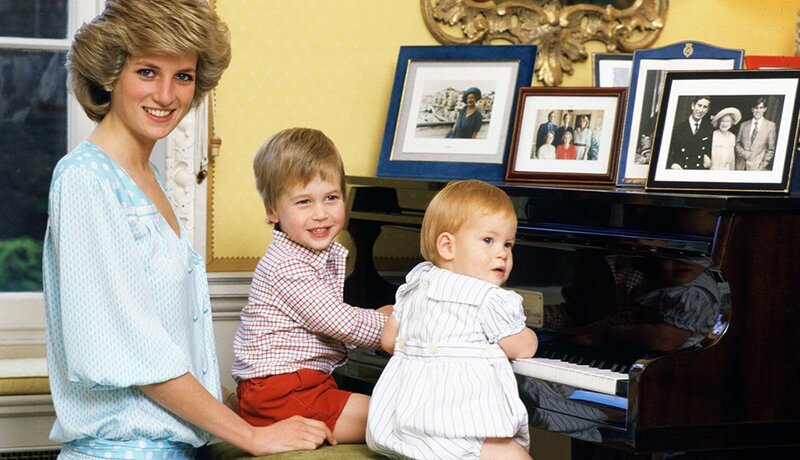 Here, Diana is at the piano with the boys, ages 1 and 3, in their apartment in 1985 at Kensington Palace. At Highgrove House, the family residence in Gloucestershire, England, Princess Diana encourages the children to play in the garden. 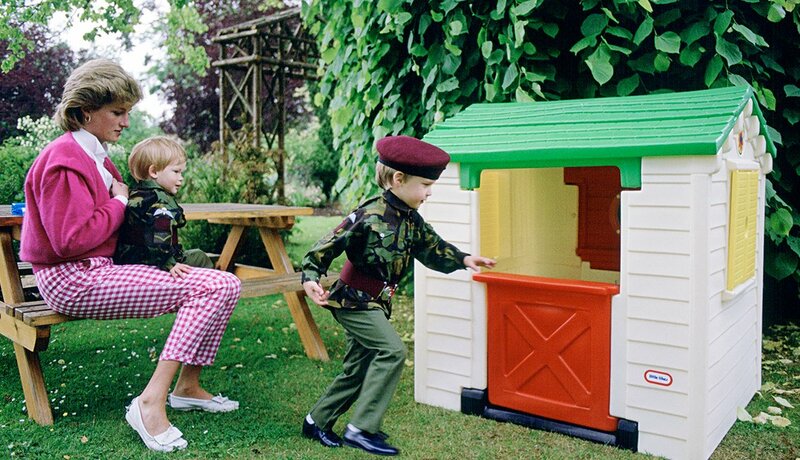 Prince Harry, not quite 2 at the time of this photo in 1986, sits on his mother’s lap while Prince William, 4, enjoys his playhouse. 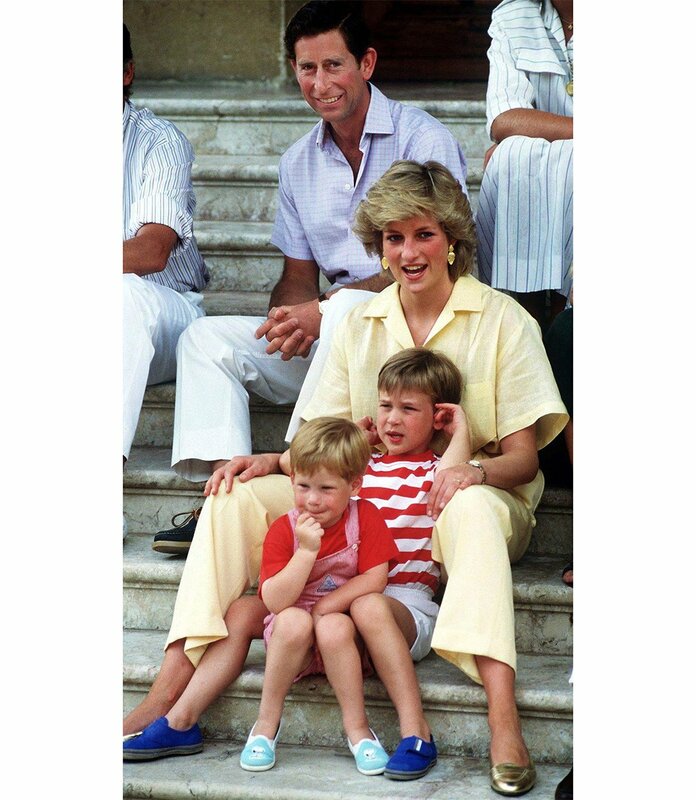 While on summer holiday with their children in August 1987, the Prince and Princess of Wales relax with the little princes, William and Harry, on the steps at Marivent Palace, the summer residence of the Spanish royal family. 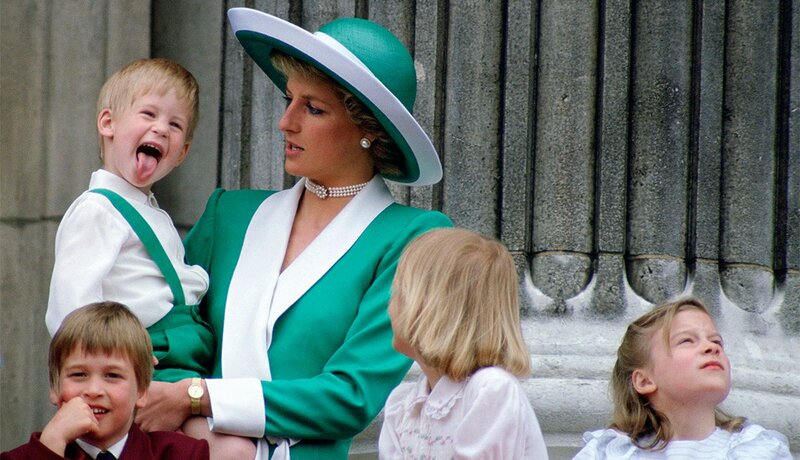 Diana, who could be mischievous herself, indulges Harry’s antics during one of their obligatory royal appearances, the annual Trooping the Colour ceremony. William, front left, and his cousins, Lady Gabriella Windsor and Lady Rose Windsor, also watch from the balcony of Buckingham Palace in 1988. It’s Harry’s first day at Wetherby School in Notting Hill in London in September 1989. 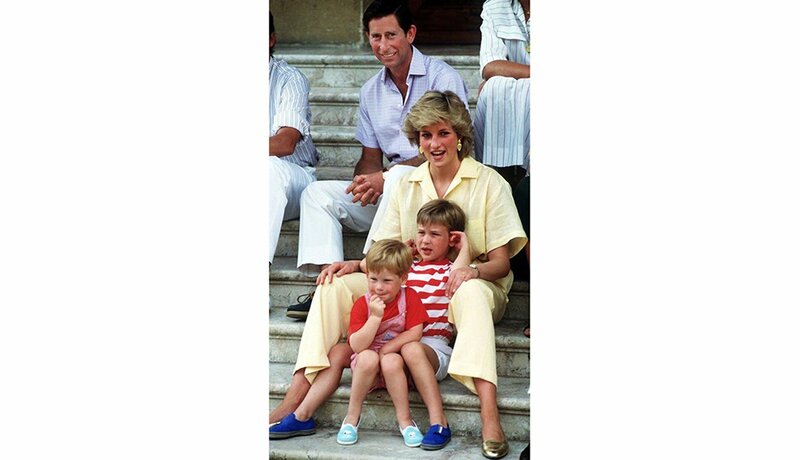 Princess Diana sees him off while Harry’s big brother, William, right, accompanies him. 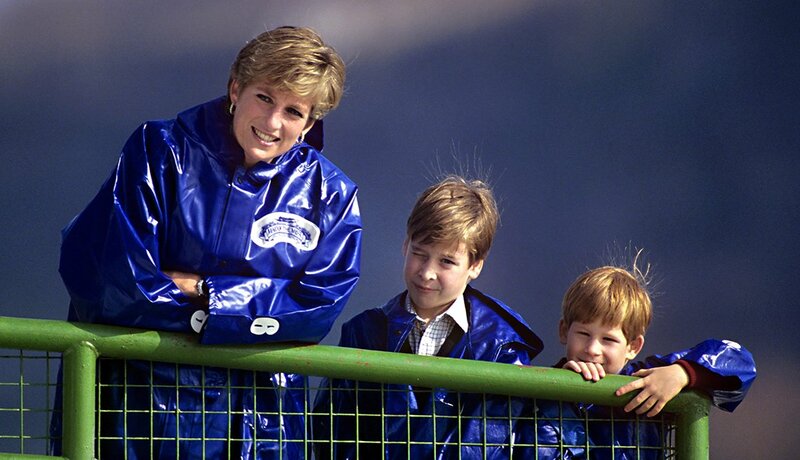 The princess and her sons soak up the experience at Niagara Falls with a ride on a boat dubbed the Maid of the Mist in 1991. 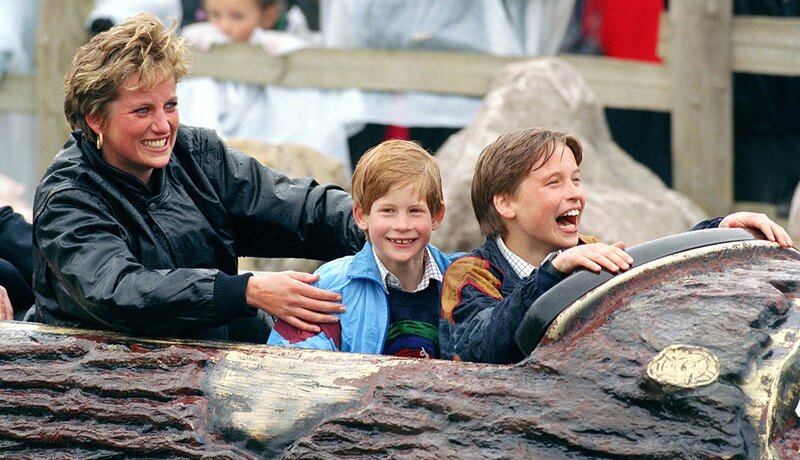 Eleven-year-old William, front, and Harry, 9, delight in the rides in 1993 at Thorpe Park, a resort amusement park in Surrey, England. Their fun-loving mom, Diana, seems to be enjoying the thrills as much as the boys. 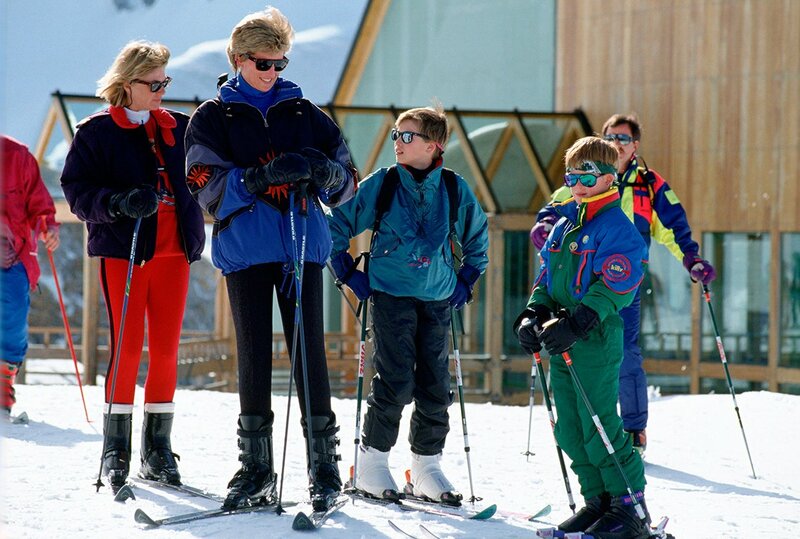 Always active and outdoorsy, Diana takes her sons to Austria in 1994 on a spring skiing vacation. They are joined by her friend Kate Menzies, left. 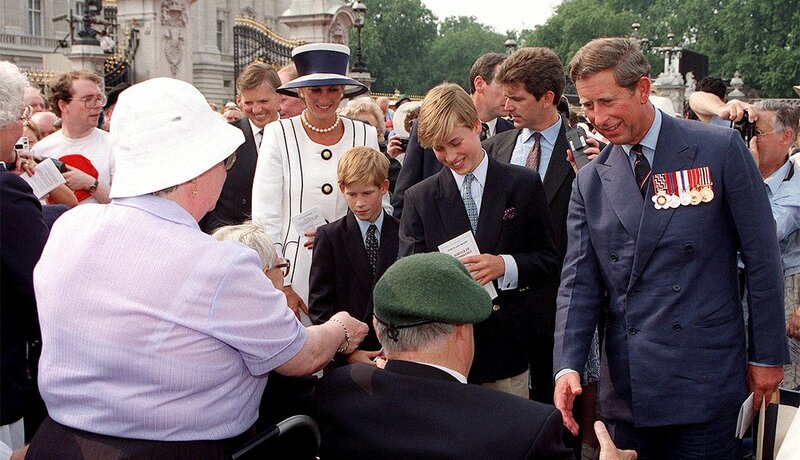 Diana, Harry, William and Charles meet old soldiers on a walkabout outside Buckingham Palace in London during V-J Day commemorations in August 1994. 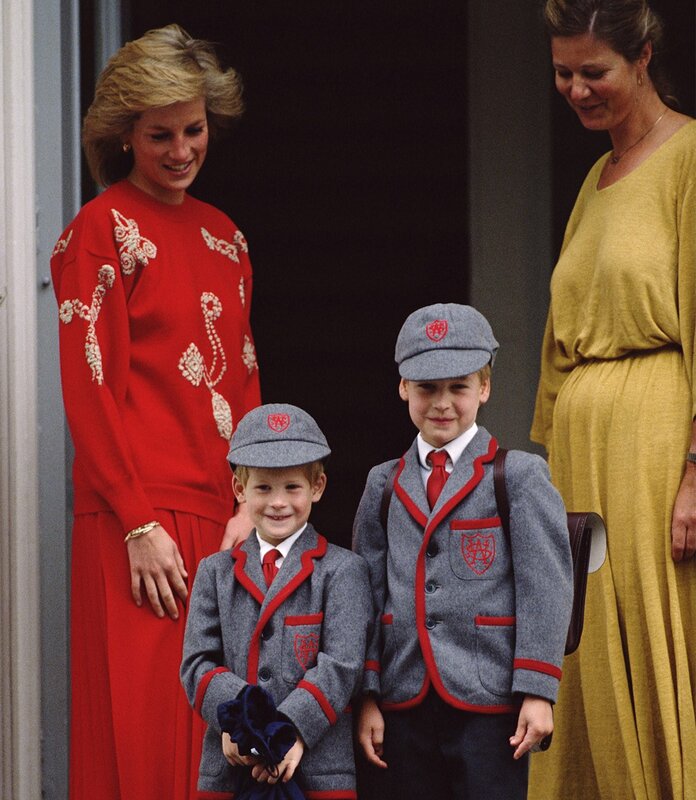 Such engagements were part of the obligations of royalty that Diana made a part of the boys’ lives from a young age. In September 1995, the royal family escorts William, right, to his first day at the Eton College boarding school near Windsor. 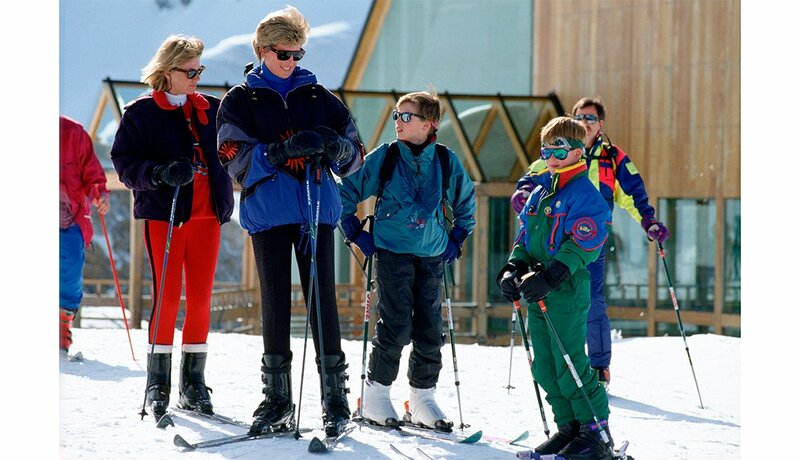 Not pictured is Prince Charles, who also posed for photos with Diana and his sons. In one of her last formal portrait sittings, Diana and her sons appear to be relaxed and informal, as they most often were with one another. William, right, is 13, and Harry is two months shy of 11 in this picture from 1995.